commented on "Gaming Stool Repairs & Reupholstery available from JARO Upholstery, Melbourne and Gippsland areas"
commented on "Gaming Stools - Reupholstery & Repairs available in Melbourne and surrounding areas by JARO." 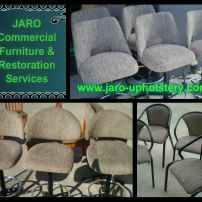 Gaming Stools - Reupholstery & Repairs available in Melbourne and surrounding areas by JARO. 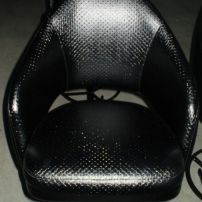 JARO can repair or reupholster your gaming & bar stools. Quality Service at Competitive Prices! 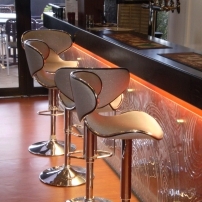 commented on "Bar stools recovered to compliment bar!" Bar stools recovered to compliment bar! 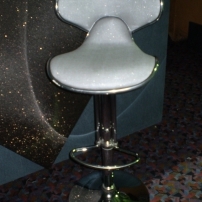 commented on "Bar Stool Recoveries"
These bar stools were recovered in Warwick's Glitterati Silver. 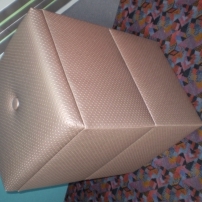 commented on "Buttoned Cubed Stool"